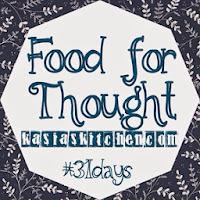 I simply can’t start a series about making the kitchen manageable without starting with the thing I think is the foundation of a manageable kitchen: MEAL PLANNING. Meal planing, it really works people. If you are a semi-regular reader here, you know I talk about it all the time and post weekly(ish) meal plans. There are many things about managing life that can be stressful, the kitchen doesn’t have to be one of them. I hope by the end of this series you will believe me and feel less stressed about the kitchen. Whether you are a planner or not, you can make meal planning work for you and reap the benefits. 1. IT SAVES MONEY! Really, it does. If you don’t meal plan and just shop when you come up with something, you know you always add extra things to the cart with each trip. Those extra things and extra trips add up. You also buy groceries with more intention. Yes, every kitchen needs staples (we’ll talk about those later). BUT when you don’t plan you aimlessly buy things you think you need, that you don’t actually need! It also minimizes the amount of times you feel too stressed to come up with something for dinner and end up just eating out. If you plan, you eat out way less and make meals you’re proud of that cost a fraction of the price they would at a restaurant. Also, going to the grocery store every time you cook dinner is stressful because the grocery store is stressful (AMEN?!)! 2. IT’S STRATEGIC! It cuts back on the amount of products you waste. If you find one recipe you want to make that requires buttermilk, you can find others to include in your plan that need buttermilk. Thus you don’t waste the rest of that buttermilk. When you don’t plan, lots of things end up expiring and going to waste. Better for the environment and again.. YOUR POCKET! 3. IT’S HEALTHIER! When you plan your own meals you are much less likely to plan an abundance of unhealthy things. As mentioned earlier, it also cuts back on the desperation fast food trips. Not to mention, when you plan and cook your own food, not only do you cut back on fat, but you control the amount of sodium, butter, oil, preservatives and exactly what goes into everything you eat. 4. IT’S NOT BORING! It’s exciting. The number one thing I hear from people who cook is that they get tired of cooking the same things. If you think and buy for meals on the fly, you’re always gonna gravitate to the same things (spaghetti, hint hint). 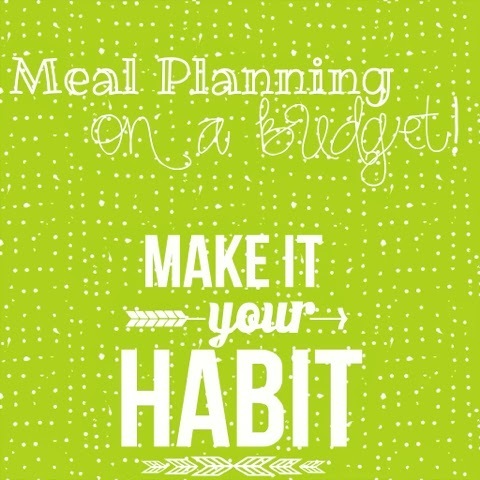 In meal planning you get to plan in your own excitement to your meals! Sold yet? You should be! But now, how? 1. Don’t be overwhelmed! Start small. Try it for one week at a time first. Currently I do two weeks at a time because that is my pay schedule (every other week). When I got paid once a month I did do it a month at a time. I planned the entire month and shopped only once a month. Yes! It is entirely possible. 2. Use your resources! Those cook books you have? Break them out! Read them. Set little fun goals. When I was doing monthly planning, I set some guidelines like at least one new recipe a week and at least two recipes from my cookbooks a month. The internet is your cooking companion. Let’s call her you sous chef! There are SOOO many food blogs out there. Pinterest is of course a great resource as well. 3. Look at sale ads. I know Kroger and Target send weekly sale emails. Wal-mart has a weekly sale paper. Don’t be afraid of coupons! If you have a farmer’s market, find out when they sell things. Fresh produce is better and often cheaper. If you have a Sam’s Club, it’s not just for bulk items. I am a single person and every two(ish) weeks I visit Sam’s! Sam’s is wonderful for cheaper produce and meats. When I did monthly planning, I would wait to plan my meals until I knew what meats were on sale. 4. Have fun getting organized! I have a friend who always had a big dry erase white board calendar where she recorded her meal plan. I posted a picture of the method to my madness above. I’ve tried apps and digital list makers, but there is just something I love about writing out my own list. I have a magnetic list on the fridge where I write random things I think of through out the week or things that I run out of. 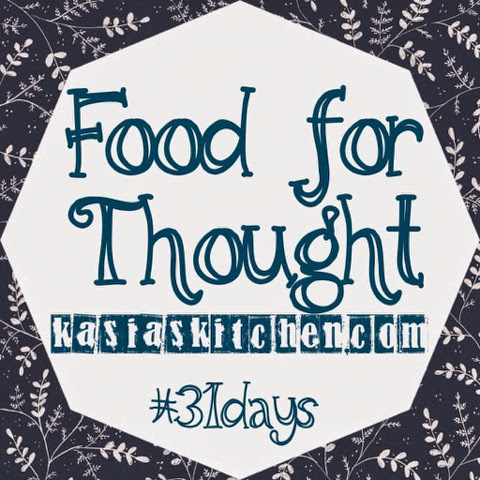 During the week, I out meal ideas and groceries I need or needed for meals. A day or so before I will be doing my shopping, I plan out 5-6 full meals, make my shopping list, and organize the shopping list grouping items together so the grocery store isn’t as chaotic. With a bigger family you’d need to cook more than 3 times a week, but I’m just me so I eat leftovers about every other day. I feel like this is A LOT! But if you want more, I can totally give you more ideas and suggestions. Just try it for a month, make it a habit. You really will begin to experience the benefits. And now, a list of every meal plan I’ve ever posted! PS. Don’t expect every post in this series to be this long, haha. I just have a lot of info on this topic. Hence why I think it’s the foundation to kitchen management.